Live and Learn Italian is a small independent business set up to offer Italian learning holidays, off the beaten track. We specialise in immersive Italian language holidays in an authentic Italian town, with a personal touch. This isn’t just a language course, it’s an experience! Our Italian learning classes are taught by fully qualified native speakers, with course workshops and tours led by locals to the region. Our hosts and guides are extended family members, old friends, or new ones - brought together by our joint wish to share the extraordinary culture and ambience of this town. My family (Marinelli) hail from Agnone, and I first visited here as a child of 8, quickly coming under its spell. My grandfather’s cousins own Agnone’s most important business, Campane Marinelli, the world’s oldest bell foundry. He himself went on to an important career in nuclear physics in the United States, and thus became an illustrious son of Agnone in his own right. I feel very much at home here, and when I came in the summer of 2012 to learn Italian with Alessandro, I knew that I wanted to share the experience and bring a lucky few back with me the next time. Every summer the project grows and deepens as I get to know more of the community, find hidden gems, and discover personal stories that weave into our programme. I think it’s unique for students of Italian to be in a place where there are no tourists, and where the local community engages so easily with our visitors. After graduating in Foreign Languages, Alessandro moved to Austria working as an Italian teacher in public and private schools. Back in Italy, inspired by his experience of teaching Italian to Foreigners, he studied at DILIT International House in Rome - where he gained his Certificate. He continues to teach German, English, and Italian for foreigners, and works as a translator. 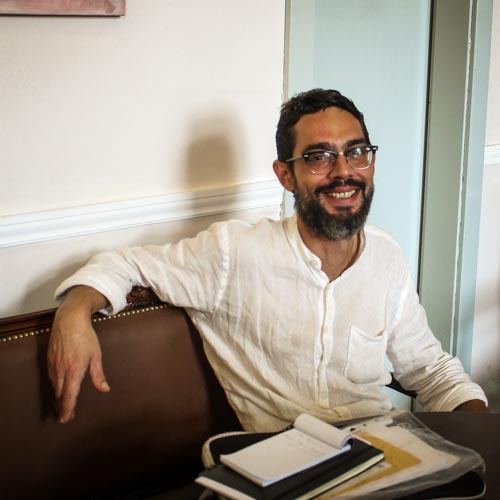 Alessandro is very involved in social issues, and is currently working with asylum seekers - not only assisting them in facing difficult issues connected to their status, but also dedicated to teaching them Italian. A native of Agnone where she lives with her husband and baby son, Anna’s love of her hometown is infectious. She can always be counted on to give us the background on things, or recount an interesting bit of town history. 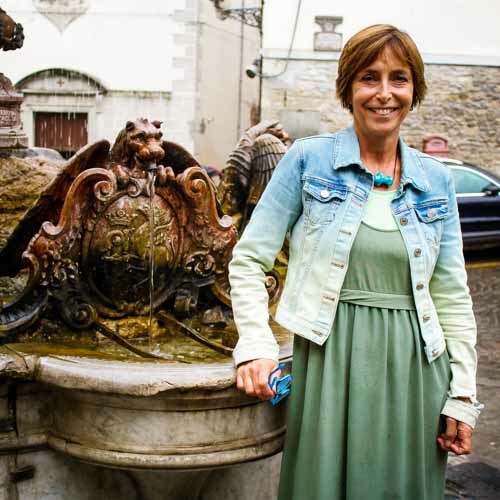 With a first class degree in Language, literature and modern culture from the University of Chieti-Pescara, she went on to obtain a qualification from CEDILS for teaching Italian to Foreigners. 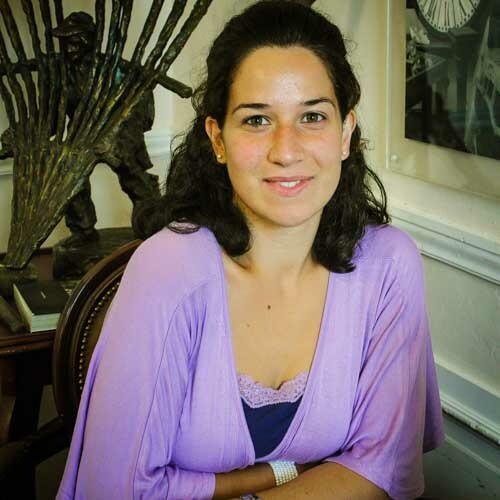 In 2016 Anna completed her masters in teaching Italian as a foreign language and is currently working in Agnone with the Italian government programme, supporting members of the adult immigrant community with language skills. From Poggio Sannita, a small village near Agnone, Giovanna spends the scholastic year teaching in Rome where she obtained a first class degree in Literature and language from l’Università degli Studi di Roma – La Sapienza. She completed her DITALS certification from l’Università per Stranieri di Siena to become a teacher of Italian as a foreign language. 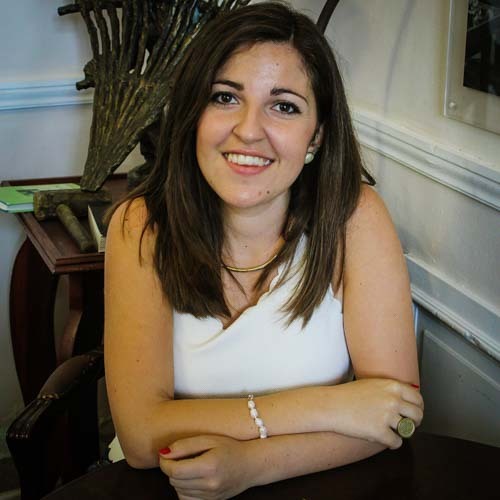 While teaching Italian to foreigners of all ages, Giovanna is also teaching Italian, Latin and History in international high schools in Rome. After obtaining a degree in Environmental Science, Walter began work at il Giardino di Flora Appenninica, and at la Riserva MaB di Montedimezzo. 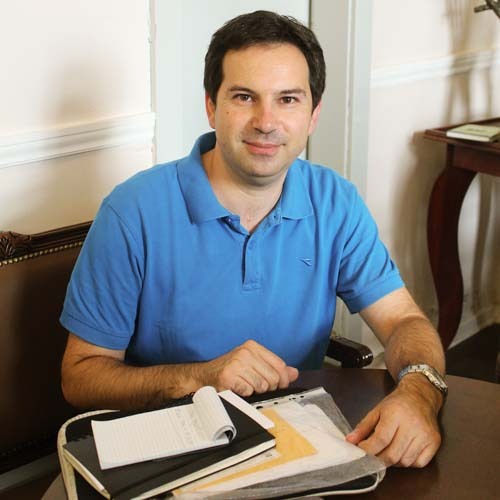 Since 2011 Walter has been working with il Presidio Turistico di Agnone, giving tours of the centro storico and of the various exhibitions presented in Agnone’s historical palaces. He is a registered guide of the ancient Sannite Monument at Pietrabbondante and of the recently established exhibition La Tavola Degli Deiin Agnone’s Palazzo Bonanni. Success! Thank you, you have joined our newsletter> Look out for monthly updates on all the latest from Live and Learn Italian. Join the community!